How does one handle a concept like 'infrastructure', which seems, simultaneously, so vague and yet heavily technical? 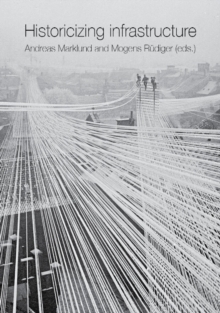 In this international research volume, nine historians and cultural researchers from different academic institutions delve into the historical dimensions of infrastructural development. The interplay of infrastructures with society and its dominant political ideas and cultural beliefs is at the core of the analyses. A wide range of topics and historical contexts are covered by the book, from nineteenth century railroads and territorial identities, and the sonic features of pneumatic tube systems, to privacy and security issues in relation to modern telecommunications, and the materiality of satellite television at the end of the Cold War.